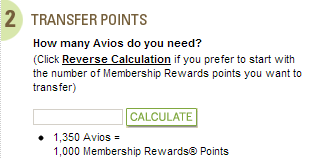 April 22 Summary – 35% Avios Bonus, 1000 Free HHonors Points, USA Entry Fee! There is also an offer for 1000 free points for new HHonors memberships applying through this link. It’s in Russian but then you can use google translate. New members only. I don’t know who would want Hilton points after that devaluation, but it’s free points! If you get 9000 more than you can transfer them at 25 dollars per block of 10,000 points. Apparently the US is mulling over an land entry fee for Canada and Mexico. I don’t like that because then that makes my shopping trips more expensive, although I’m sure Homeland Security needs more money… It will be quite annoying if that does pass. Boo! View from the Wing also talks about 100% US Shopping Portal Promotion and the new Chase Sapphire Preferred Dining First Friday. Not really relevant as Chase hasn’t given me any Ultimate Rewards yet. So I’ll try to get these updates out at around this time every day (if there’s something worth mentioning) so it’ll be an easy way to get a quick update of all the content that was posted today. Yep, exactly the same with YVR.